Online education is a multimillion-dollar industry that will not go away any time soon. In the U.S. alone, there are around six million students who are enrolled in online higher education classes. This number does not include the millions of high school and elementary school children who might need tutoring too. With this growth in education online also comes the opportunity to teach and/or tutor online. And indeed, there is money to be made by becoming an online tutor. But how do I find positions to become an online tutor? Do I need a teaching degree? If you clicked over to read this post, chances are you would like to have the questions above answered. Well, you are in the right place! 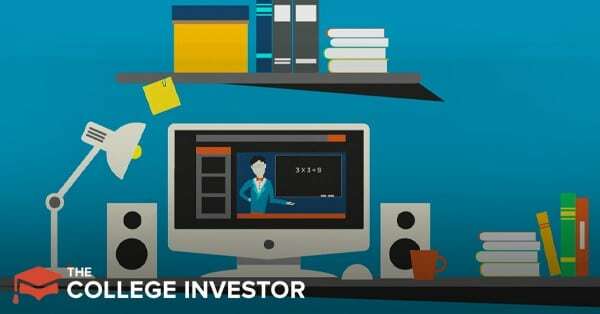 In this post, we will talk about how to get paid to be an online tutor even if you’re brand new and just starting out. Whether you are choosing to tutor on a full-time or part-time basis, it is important that you choose an area of expertise. What exactly do you teach? English? Math? French? Do you help people pass standardized tests like the SAT or MCAT? When people are looking for tutors online, they are looking for someone with specific knowledge who can help them crush that particular subject. Thus it is important to decide which subject you want to focus on. Doing so will help you market yourself better and help you get paid faster. What you majored in or are majoring in during college. Which subjects you have done well in. If you are a language student, chances are you might be good at becoming a language tutor. If you get As in all your required and elective math classes, chances are that you might be an excellent math tutor. While a teaching degree or license is not required to become an online tutor, it certainly does not hurt to have one. Once you have chosen a topic you’re comfortable with tutoring in, the next step is to find some clients! The lowest hanging fruit when it comes to finding tutoring clients is to sign up on tutoring websites and create a profile. Several of these websites require that you take a subject test proving your proficiency in the subject. Once you have done that, the website will allow you to start taking on clients. Another way for you to find clients is to leverage Craigslist. Because of the local nature of Craigslist, you could either post an ad for your online tutoring services or you could find someone who is looking for you. If you are serious about becoming a well-paid online tutor, optimize your LinkedIn profile for it. As you continue to grow, you will realize that most of your business comes from word-of-mouth marketing. By optimizing your LinkedIn profile for your expertise and interacting on the platform, you stay top-of-mind. This way, if any of your connections on LinkedIn are looking for tutor for their child or a friend’s child, you will come to mind and thus will get the referral. This is because they could become your very first clients. The beautiful thing about tutoring online is that you will not need to get out of your house. What is essential, however, is that you have a computer with a stable Internet connection. You will also need a webcam so that you can have a face-to-face conversation with your clients/students. Most webcams these days have in-built microphones that are excellent. However, if you wanted to pick up an extra microphone, I highly recommend getting the Blue Snowball or Blue Yeti microphones for crisp sound. This entire post is about how to get paid to be an online tutor. So now that you have chosen a subject area to be a master and gotten your clients, how do you get paid? If you are primarily finding clients through the websites like the ones we listed above, it is going to be different for each website. In most instances, you will enter in how many hours you tutored and get paid your hourly rate via direct deposit into your bank account or through PayPal. If you are getting your clients independently, sending in an invoice after each session is one way to go about it. In a business, reviews are everything. Get enough bad reviews and nobody will want to do business with you. Get good reviews and you might never even have to pitch your services because of all of the referral business. Wyzant.com, for instance, allows people to leave you reviews. If you are tutoring a lot but not getting reviews, ask your students to sign in and leave you some. Online tutoring can become a profitable source of income for you whether you want to do it on a part-time or full-time basis. In this post, we covered how to get paid to be an online tutor. You can start implementing these tips today. So get to it! If you enjoyed this post, please make sure to share it with someone else or leave us a comment below. The post How You Can Get Paid to Teach as an Online Tutor appeared first on The College Investor. How To Invest In Ethereum: Is It Worth It? Ipsos i-Say Review: Is It a Scam or Legit?